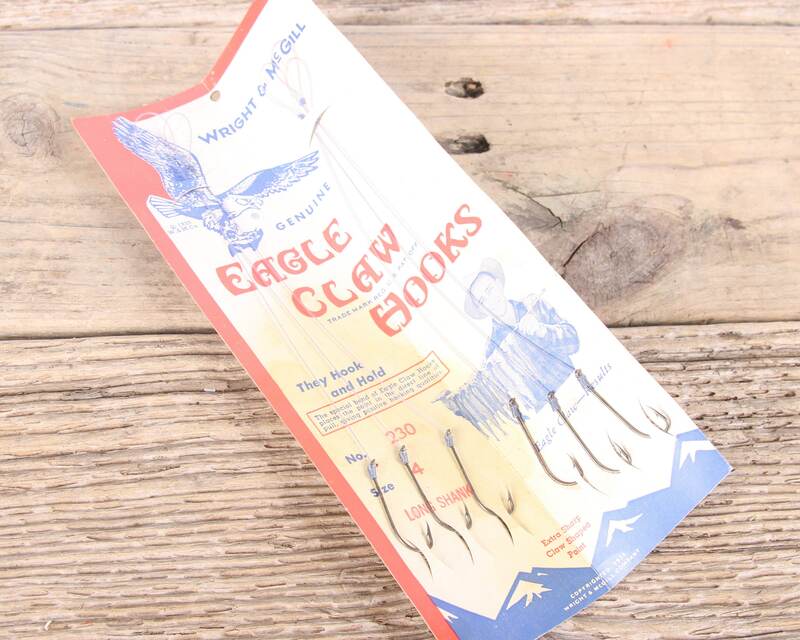 This is a vintage display of Eagle Claw Snelled Hooks from Wright & McGill! 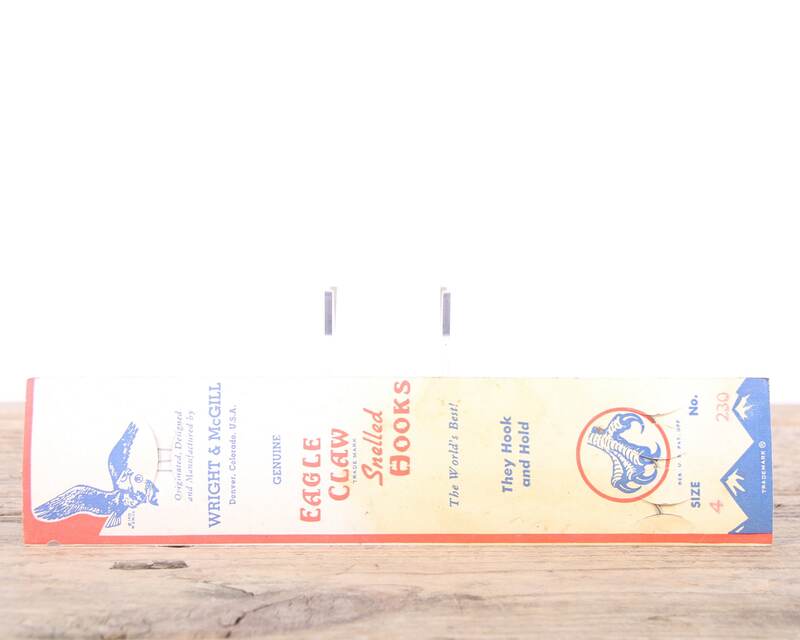 The paper display dates back to 1930 and includes 6 hooks and measures 9.25" tall and 4.25" wide. 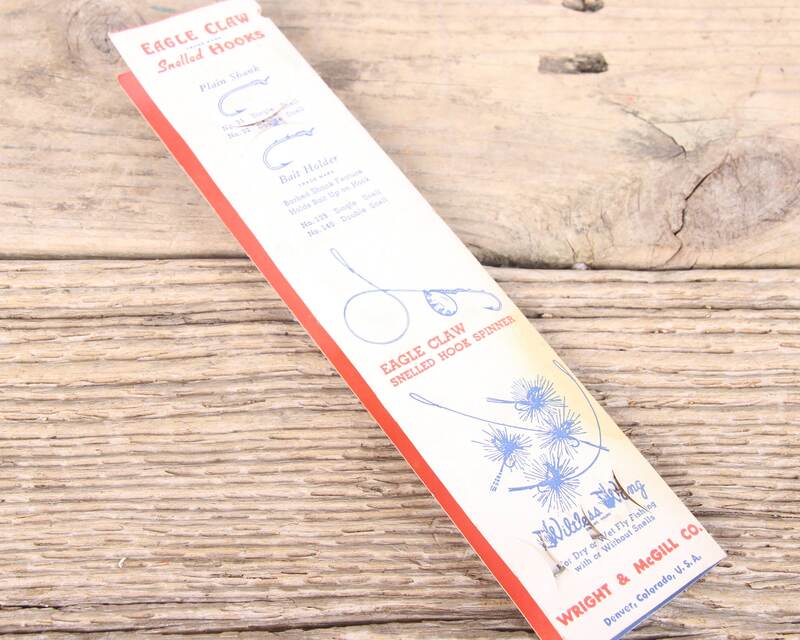 The display will look great displayed with your vintage fishing gear. Contact us with any questions. Condition: The plastic packaging is beginning to deteriorate from age so some of the hooks are falling out. - All items in my shop are vintage or repurposed! 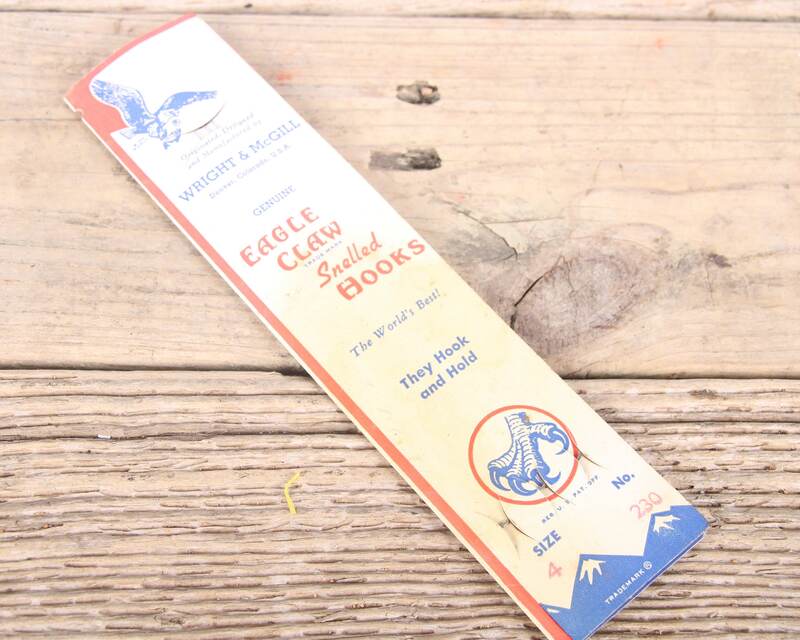 They are carefully selected, but will have beautiful imperfections that add to the character.